Because who doesn’t want stylish clothes that feel like pyjamas. 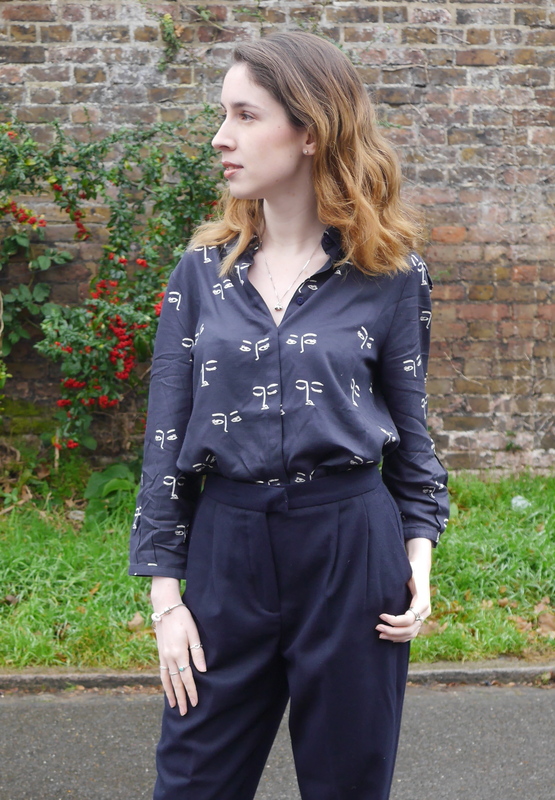 Shirt – Oliver Bonas|Trousers – Zara|Shoes – ASOS (similar). I didn’t intend for this to be Victoria Beckham inspired but I certainly feel a little like the girl boss in this outfit. As we all know I love the colour navy and these trousers were just begging to be added to my wardrobe. They feel like you’re wearing pyjamas whilst still looking smart but are easy to dress down for weekend wear. These do run a little large size wise so I would definitely advise sizing down if you purchase them. They are a great alternative to my usual jeans bottom half plus they go perfectly with this cute shirt from Oliver Bonas. It’s equally as soft and I love the unusual sleeve length. Red and navy are just meant to be put together so I didn’t have to hesitate when thinking about shoes, I also can’t wait to pair them with some red heels for party season. I didn’t need a bag for this particular occasion but an oversized clutch in either red or navy would look great with this outfit. 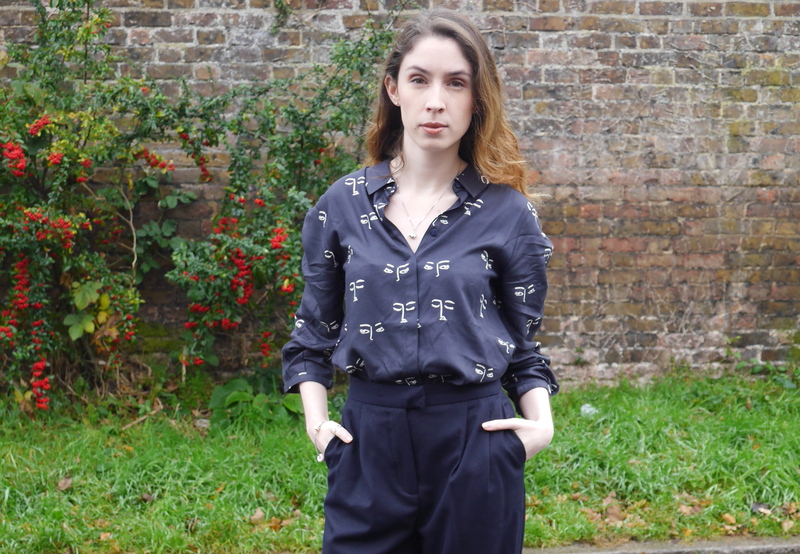 Are you a tailored trousers type of a girl?